If We Could Dramatically Improve Your Prison Journey In One Evening Would You Let Us? 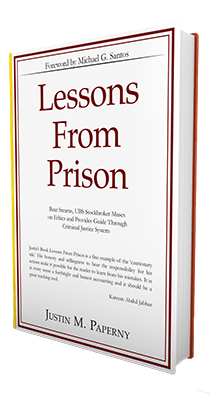 If you’re trapped in the criminal justice system there are strategies you can implement today to serve the least amount of time in the best environment possible… Download your free copy of Lessons From Prison now to learn how! You’ll receive 2 extra bonuses: Our new Top 10 Prison Surrender Checklist & Course on the Residential Drug Abuse Program–the only federal program that can shorten your prison term by up to 24 months. 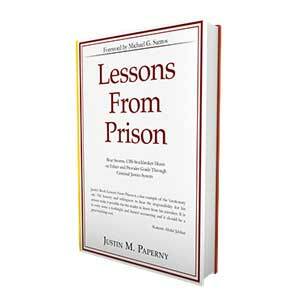 Justin Paperny, author of Lessons From Prison and Ethics is Motion, is the foremost expert on prison consulting and white-collar crime. Since his release from prison in 2009 he has helped hundreds of defendants and their families thrive through the criminal justice system. Additionally, Justin has been a keynote speaker to academic and business audiences across the nation. 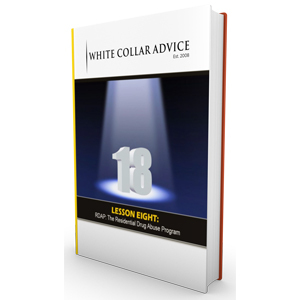 His clients include The FBI Academy, New York University, and KPMG.